What are your main system Loudspeakers? I use 4 JBL s109's.Small footprint and I always have odd shaped rooms, no matter where i sit they are pointing at me. I use a Paradigm dsp 3200 to add a little bass that the JBL's are a bit shy on. If i want to shake it I turn on the RTR's. Still listening to my circa early 1960's Altec Lansing A-7 VOT's that I bought in the mid 70's. My ears haven't heard anything to compare to them but then maybe my ears and the VOT's have become one. Kinda like a long sweet marriage. So now I join the floor standing group, from the bookshelf group! Just got a near mint pair of 1988 Polk Audio RTA 8Ts. But I was very fortunate! I had these boxed and sent UPS Ground. Polk drivers have a habit of the magnet’s glue failing and pinching the voice coils, rendering the midwoofers permanently damaged! These survived! Here they are at the door! Unboxed, waiting to be moved into position and wired up. In position! They sound wonderful! Perfect fit for my room, have earned wife’s approval, and just an absolute joy to listen to! Near mint condition! Very well cared for over the last 30 years! They don't have to be floorstanders, but can still be full on. I've had my Spendor S100's for probably 26 years or so. I have great extended bass, plus wonderful mids and treble. Evey mod carried out within my system over the years, has been clearly heard through these wonderful transducers. nb Pair on the bay right now! Alesis Elevate 3 bookshelf but I've been meaning to upgrade for a while now. I was delighted with my bold brash Wharfedale E70s until I had to sell them due to moving on to a boat. Got a pair of Rock Solids by Bowers and Wilkins because of their small size but impressive output. Moved back onto land and was given a pair of KEF C75 floorstanders that sounded flat as a pancake because of blown tweeters (a well-known problem with these). I upgraded these with new tweeters and they will do until I finish my pair of home made E70 clones. No neighbours nearby so I can crank 'em up as loud as I want day or night without being arrested. Monitor Audio RX6 still going strong. 1968 KLH 17's that I refurbished and sound very good to my ears. They go well with my low cost mix & match system. Have a mid-city flat - though it has a fairly large living space where my system resides. That said, I have a pair of Wharfedale 225s that sound beautiful in the room, powered by a modest NAD 316bee. Currently hooked up are a pair of Ohm E2's - I like their flexibility. Good for listening to vocals and jazz, but also give good definition to my classical recordings. Still love my Monito Audio Silver 8s. But I am really enjoying these as well. 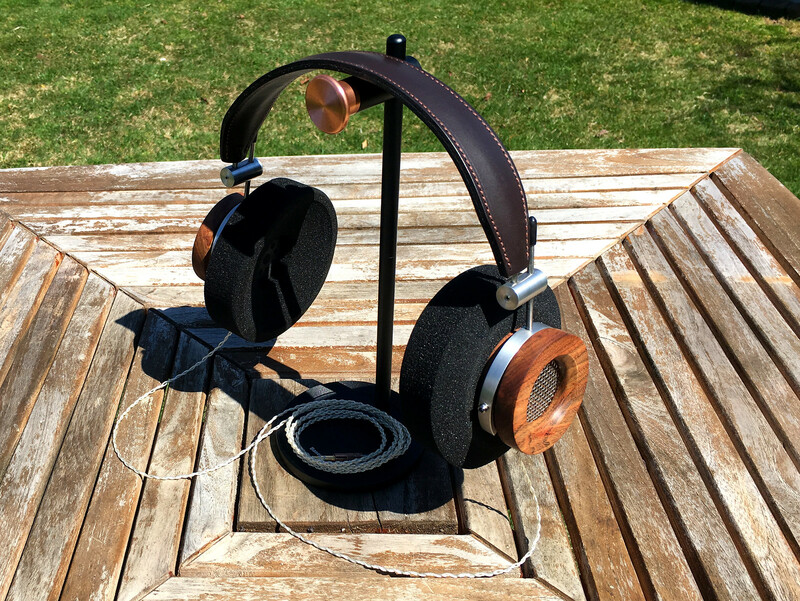 Grado based, with Turbulent Labs X Drivers, and Caribbean Rosewood cups. euromut wrote: Still love my Monito Audio Silver 8s. But I am really enjoying these as well. wow those are nice bet they sound as good as they look. My primary speakers are Advent Legacy II's,haven't found any modern speakers that excite me enough to upgrade.Yet. Not a fan of the beam box ported speakers currently in vogue. Ever now and then I do pull out my Mission 732's just for a little strange. Also running an Energy XLS 10 sub for movie and rock out time. Amp is a B&K EX442, pre is a B&K Pro 10 MC Sonata. Old guy,old gear!